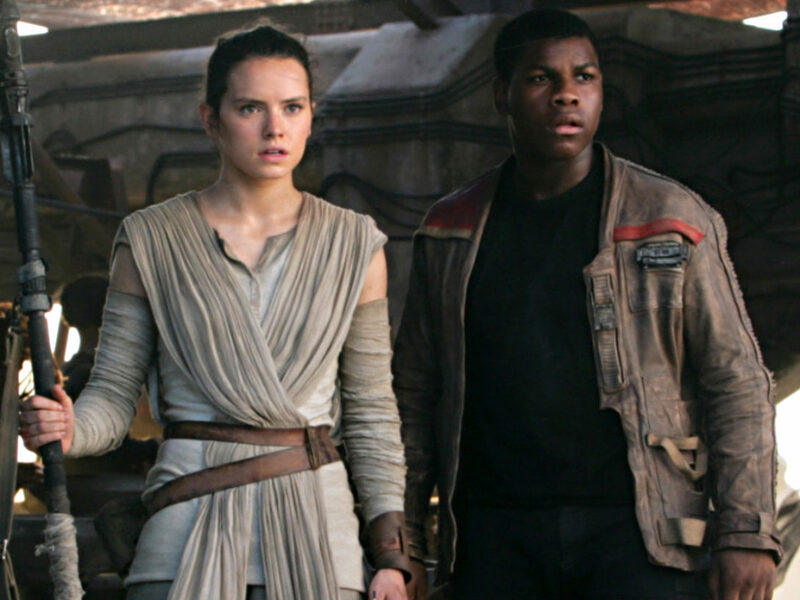 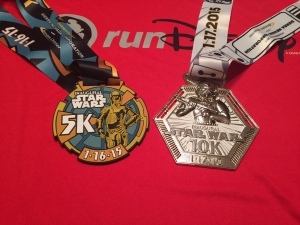 After months of training, one StarWars.com writer faces his running destiny! 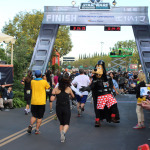 The inaugural runDisney Star Wars Half Marathon Weekend is complete and thousands of runners from around the world have crossed the finish line in three amazing races through the Disneyland Resort in Anaheim, California. 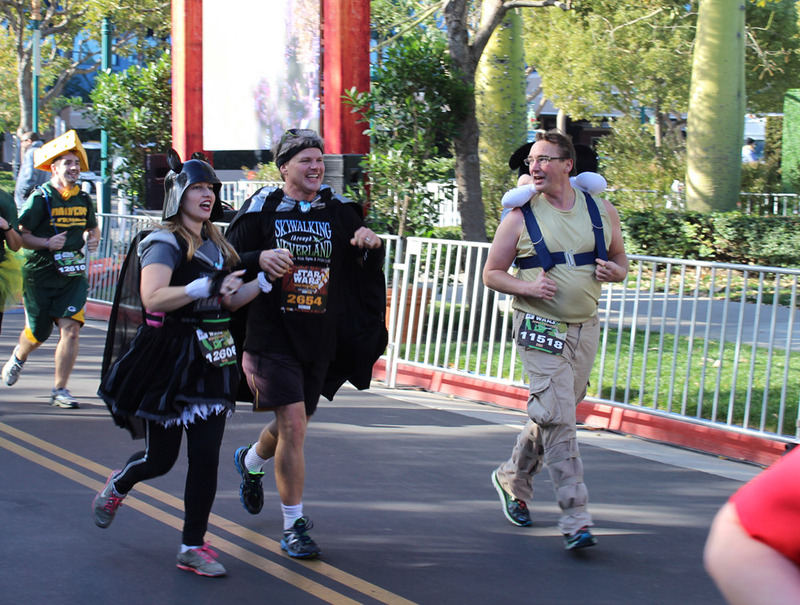 After all of my own training, it was finally time to put my running skills to the test. 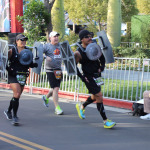 But for all my preparation, I never expected what happened to me on the course this weekend. 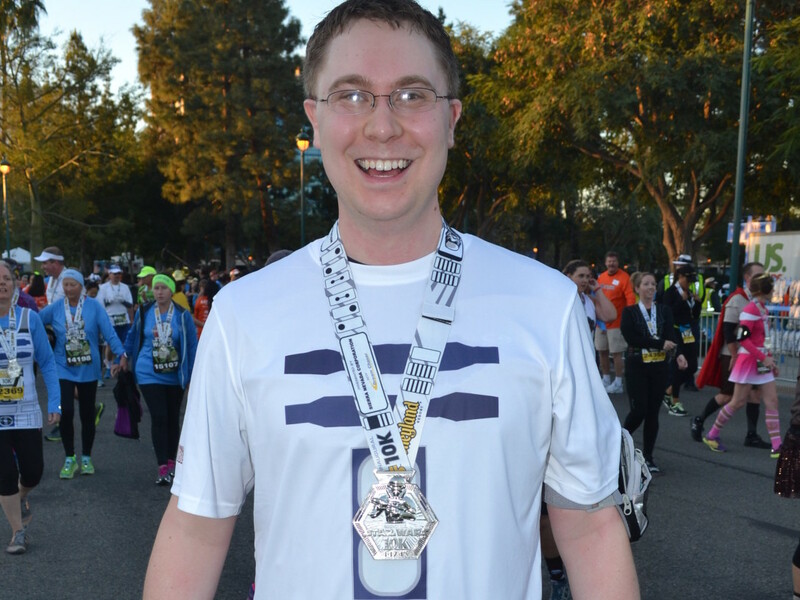 When I started this fitness journey a month and a half ago, I hadn’t run in years. I was out of shape, uninspired, and unfocused. 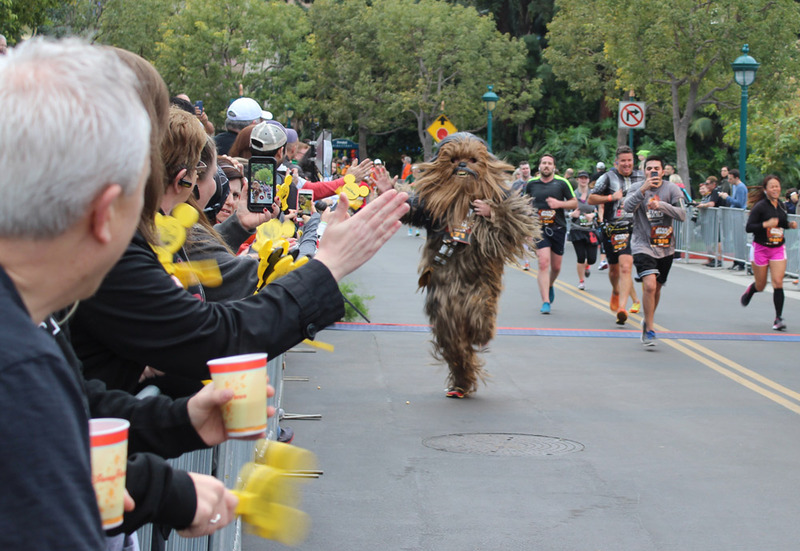 Star Wars was the only thing in this galaxy that could interest me in running, but I was still uncertain how I would fare. 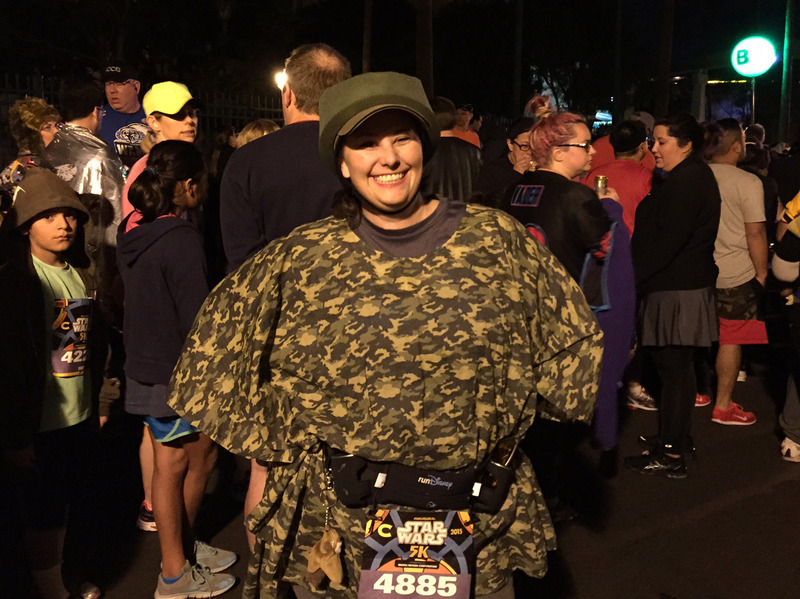 When I took up the challenge of running the 5k and 10k races, I was simply hoping to finish, not looking to be competitive. 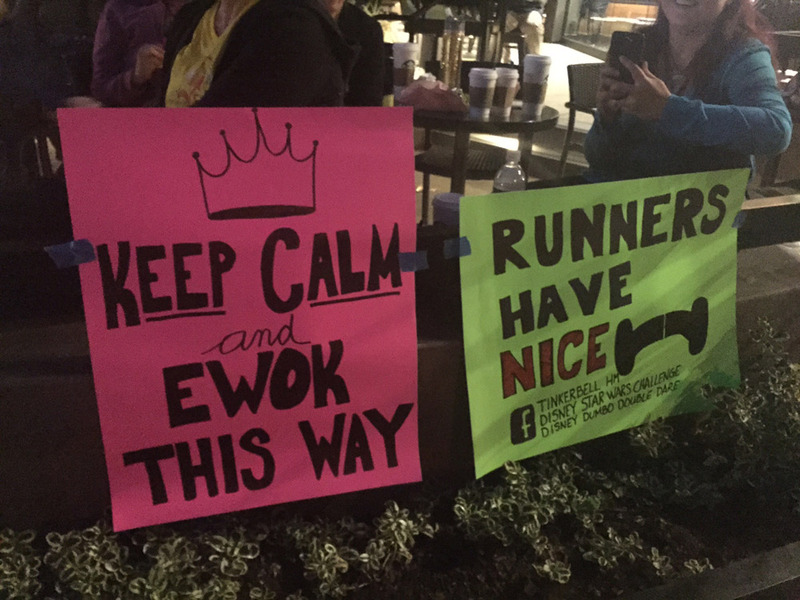 But I underestimated just how motivating a runDisney event could be. 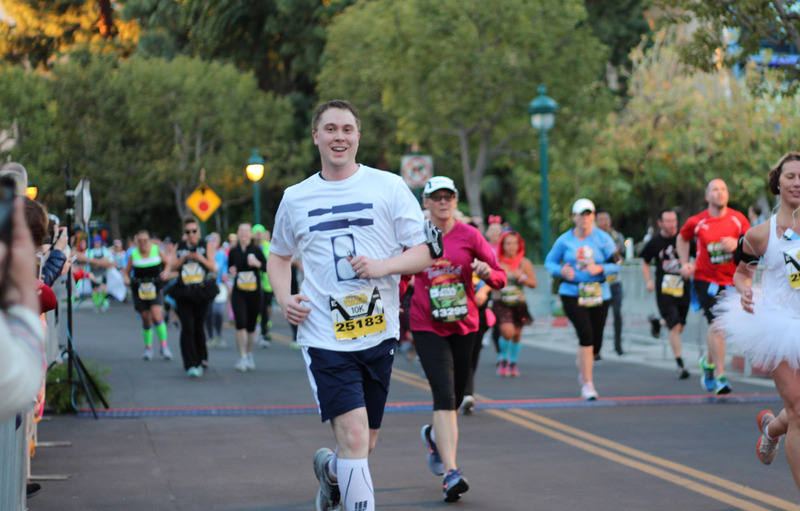 My final 10K time was 1:14:23, well ahead of my target pace of 1:26. 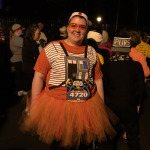 Somewhere around mile three, I realized that all of this training in the snow, all of the healthy eating, running through painful shin splints, flying to California, and getting up at 4 a.m. had all come down to these final three miles. 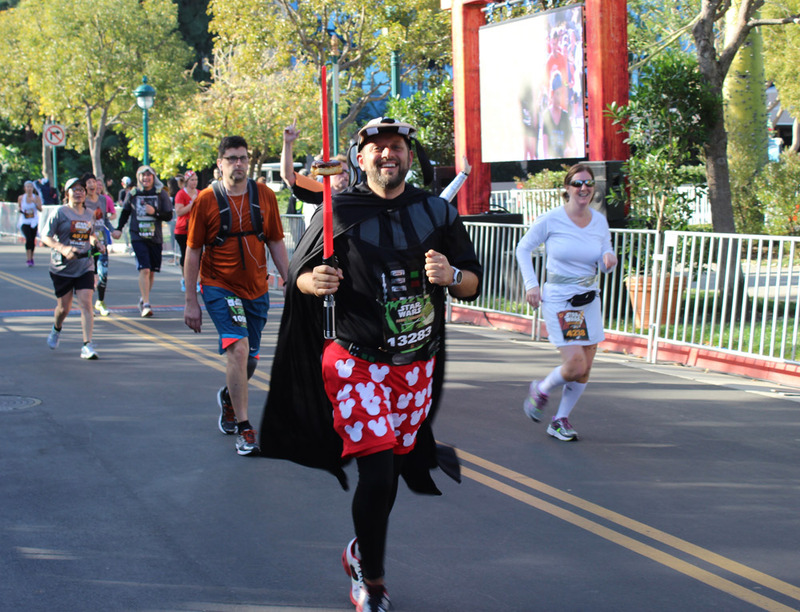 With this in mind, I found the energy to run the second half of the race even faster than the first. 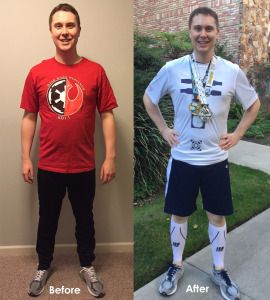 Cole Horton, before and after his training. 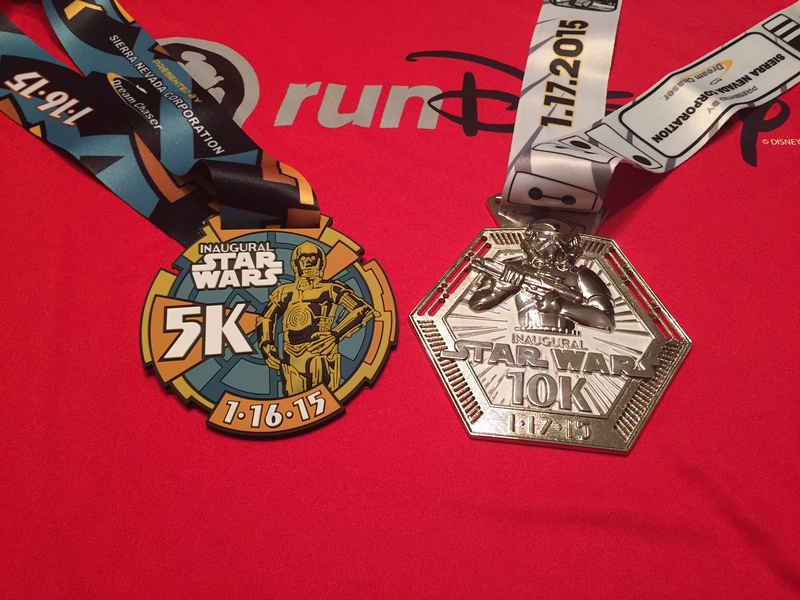 All of this running has paid off personal dividends as well. 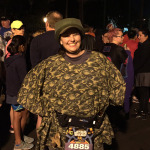 As you can tell in my before and after photos, I managed to not only shed about seven pounds, but gained an untold amount of muscle mass and tone. 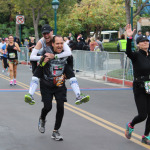 I’m breathing easier, sleeping better, and have more energy through the day. 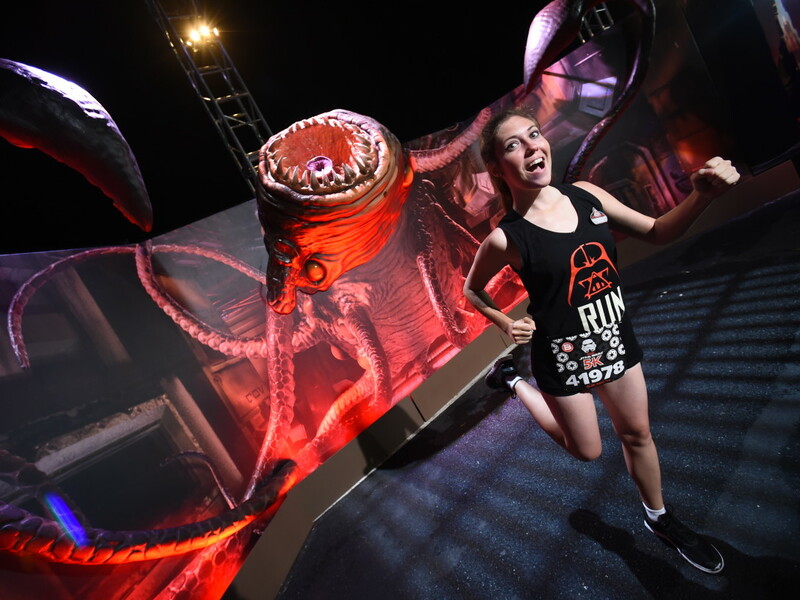 Most unlikely of all, I actually feel the urge to stay active and run…for fun. 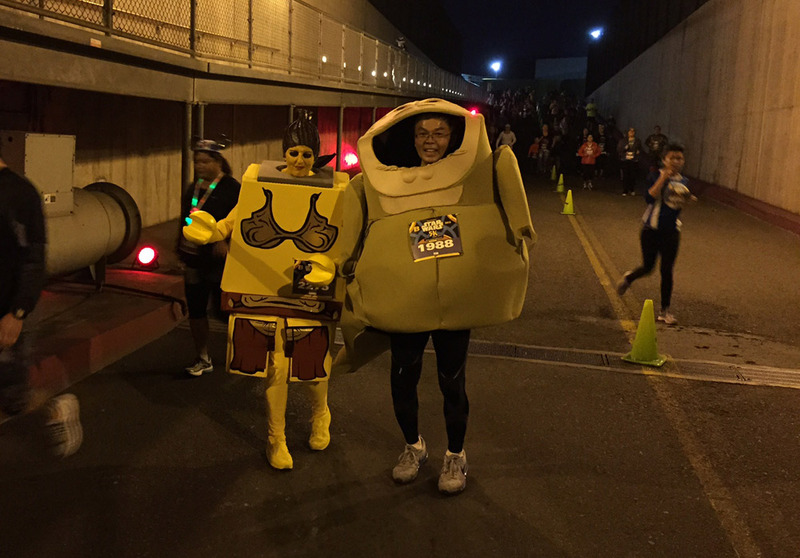 The course was full of surprises. 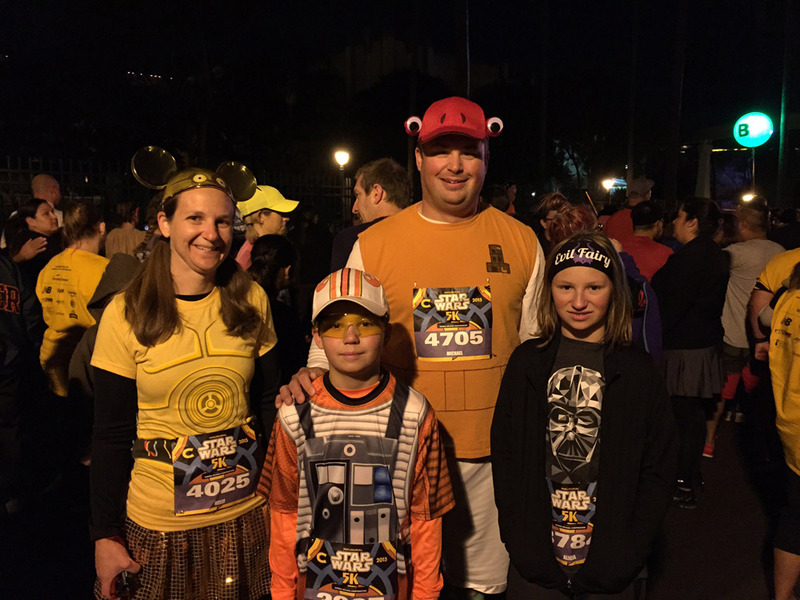 At points along the race, Star Wars characters were taking photos with runners. 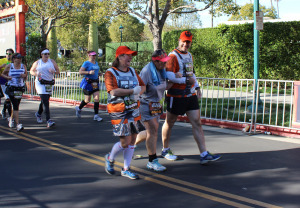 It was motivating to move into the next stage of each course and discover new surprises waiting. 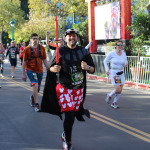 I was thrilled to hear the sound of Darth Vader breathing as we entered a tunnel along the race course. 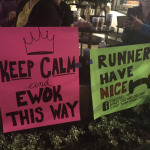 Star Wars music played throughout the course, sometimes in unexpected places; a favorite of mine was the Ewok theme in A Bug’s Land. 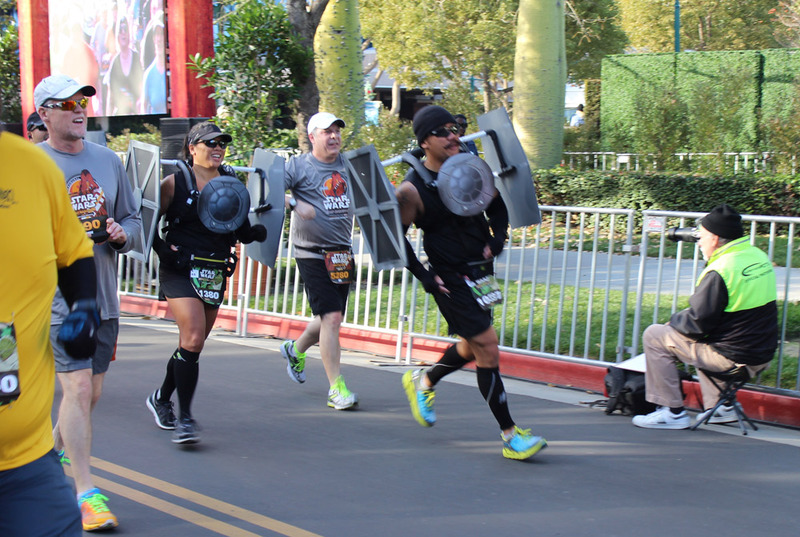 Even Star Tours was open for a quick ride in the middle of the course. 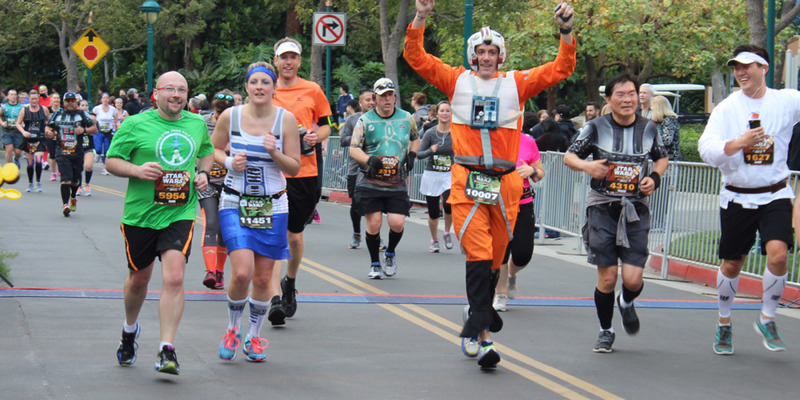 Along the way, the course was filled with runners in Star Wars costumes. 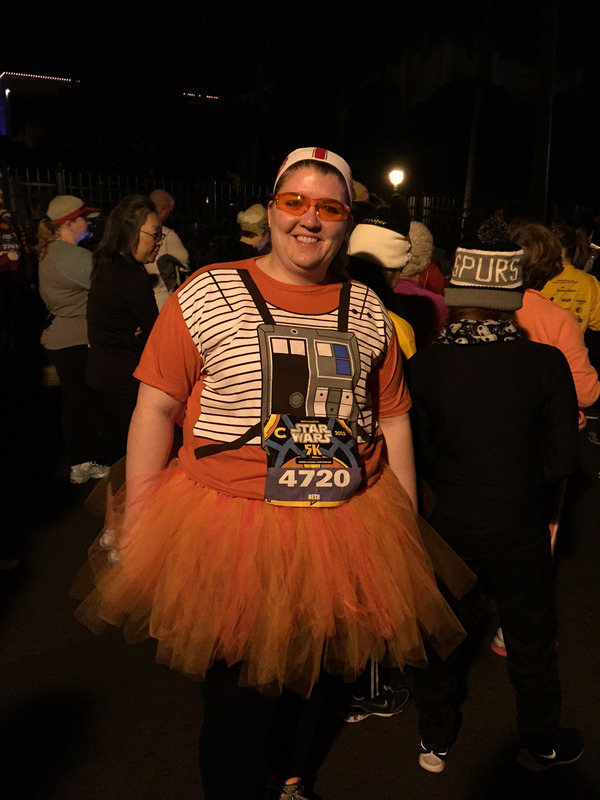 From simple T-shirts and tutus to amazing (and often awkward) creations, I loved the creativity shown by the runDisney community. 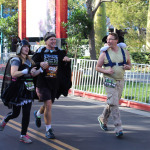 It was inspiring to see people run great distances in these costumes, many running the half marathon or even multiple races in well-crafted costumes. 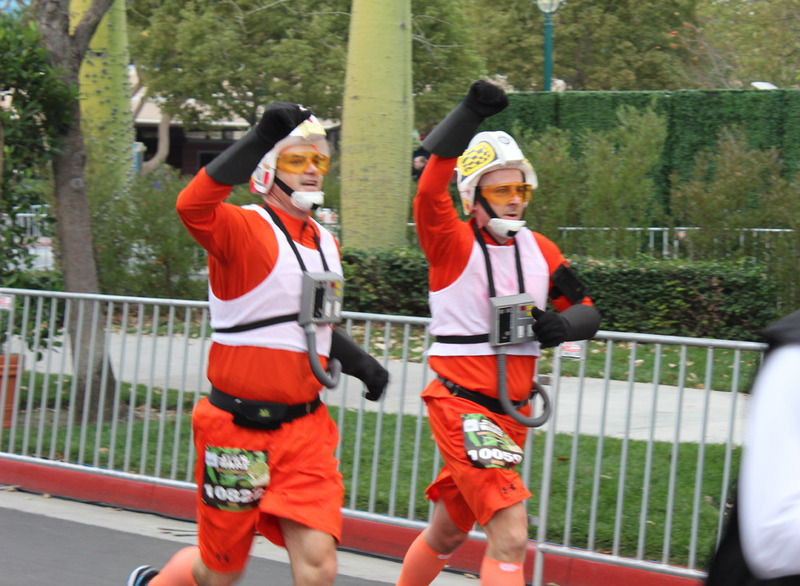 A personal favorite were the running duo dressed as BB-8 from Star Wars: The Force Awakens. 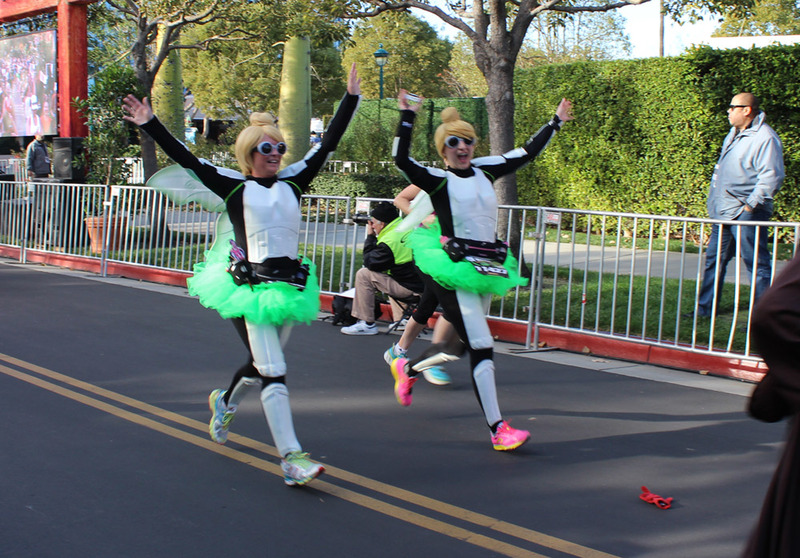 Their giant costumes actually spun as they weaved their way through the crowds in the 5k. 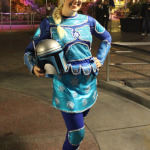 As a Star Wars fan, the whole event reminded me of Star Wars Weekends in Florida. 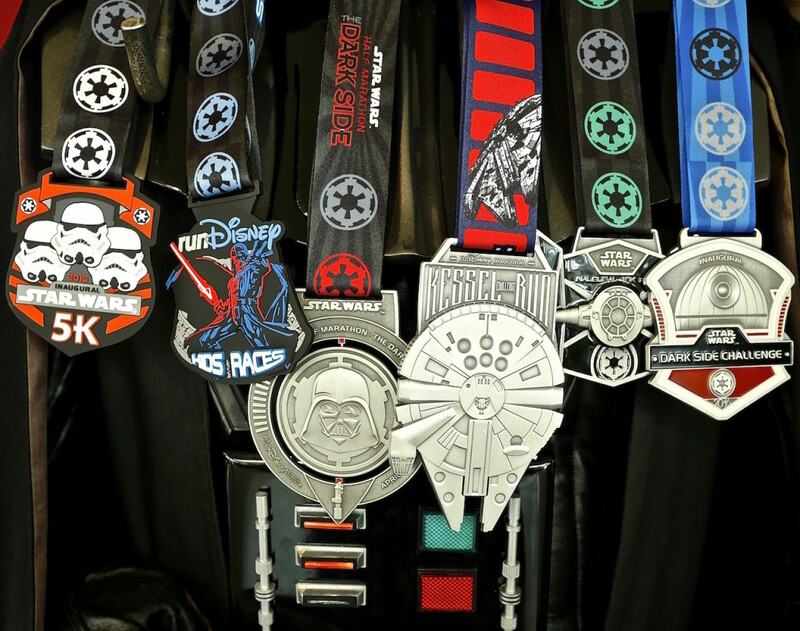 After each race, you could walk through the parks and see other fans wearing Star Wars gear or their race medals. 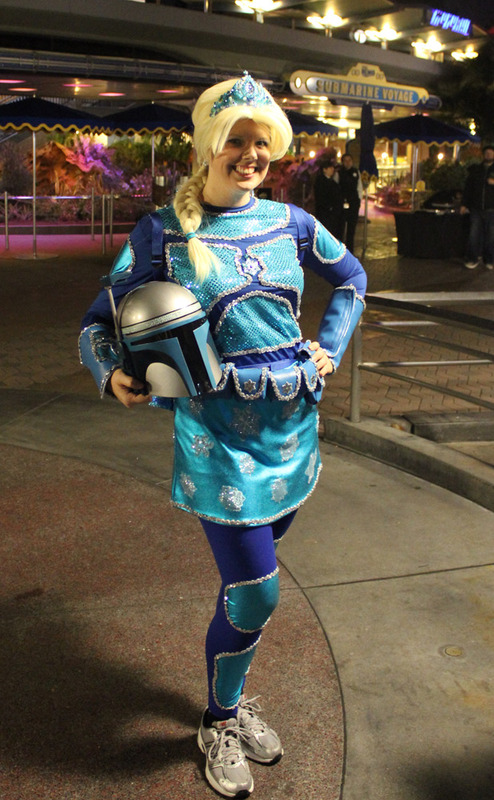 It was also nice to see friends that I otherwise wouldn’t see until Star Wars Celebration in April. 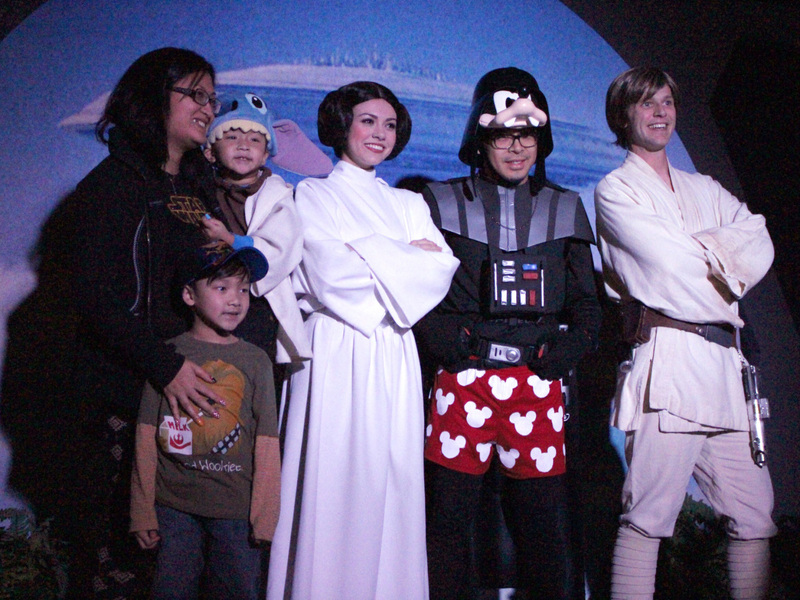 The atmosphere around the resort made the days and evenings even more fun. 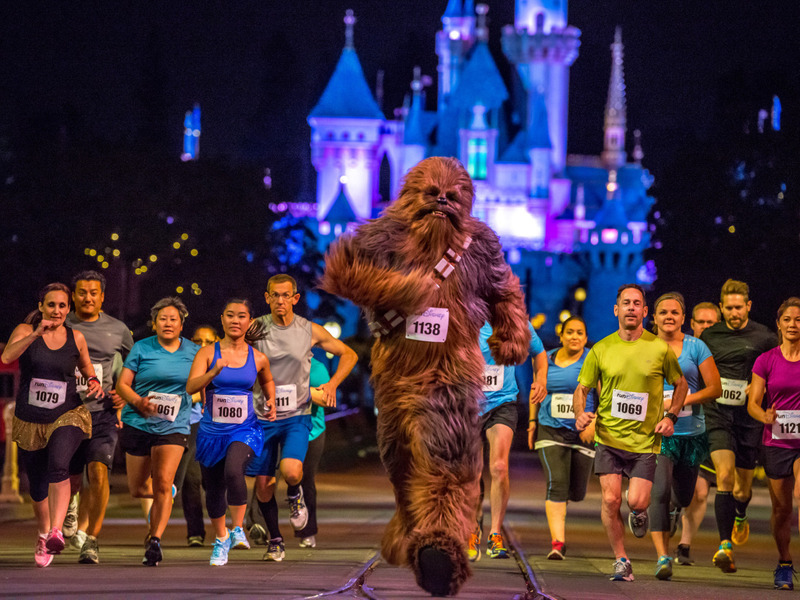 If you are a runner or just a fan looking for a reason to get healthy, I encourage you to take part in any of the upcoming runDisney races. 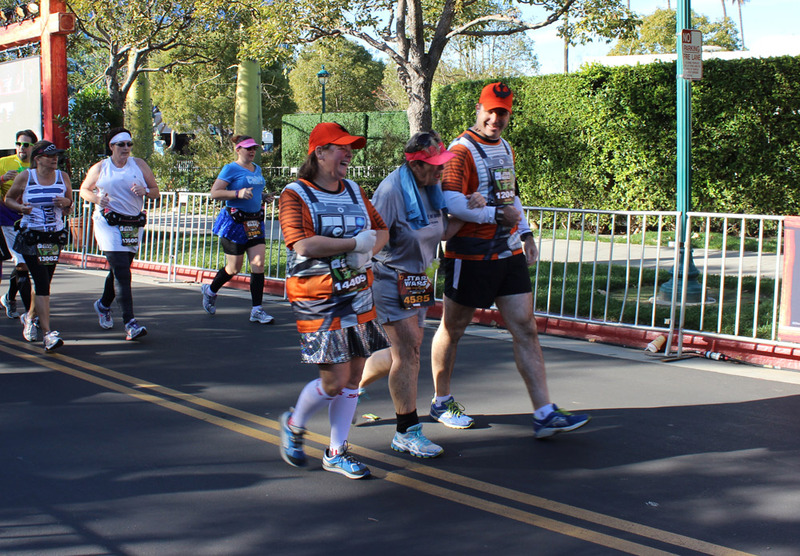 No matter your experience or fitness level, these races are accessible to almost anyone. 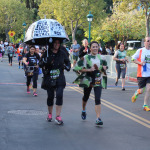 Whether you are young or old, big or small, a runner or a walker, there are thousands of other participants just like you. 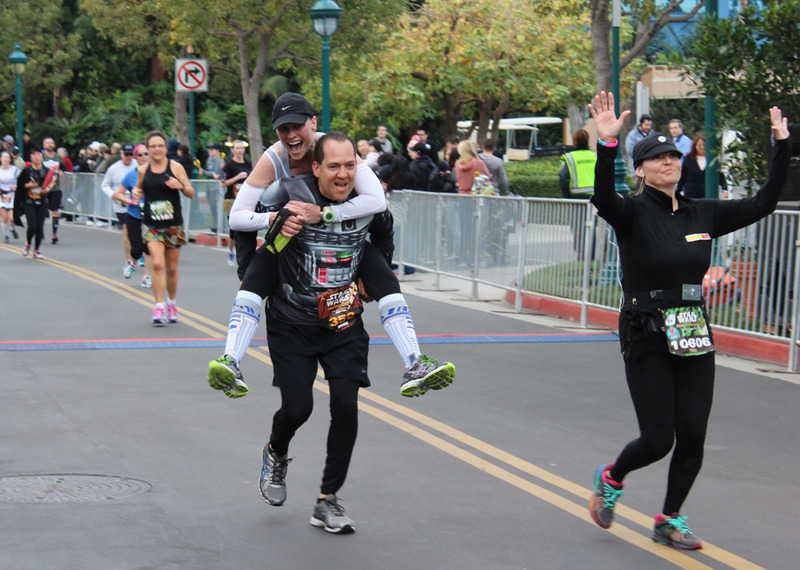 Most importantly, the races are built around a community of the most compassionate, positive, and encouraging people you will ever meet. 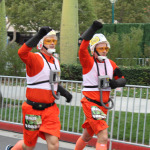 Rebel pilots lend a hand to a fellow runner in need. 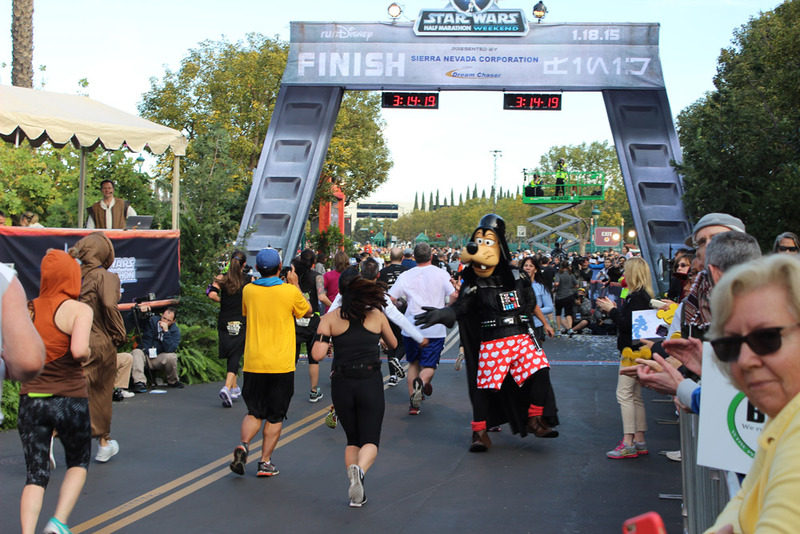 The second Star Wars Half Marathon Weekend is already on the calendar for January 14-17, 2016. 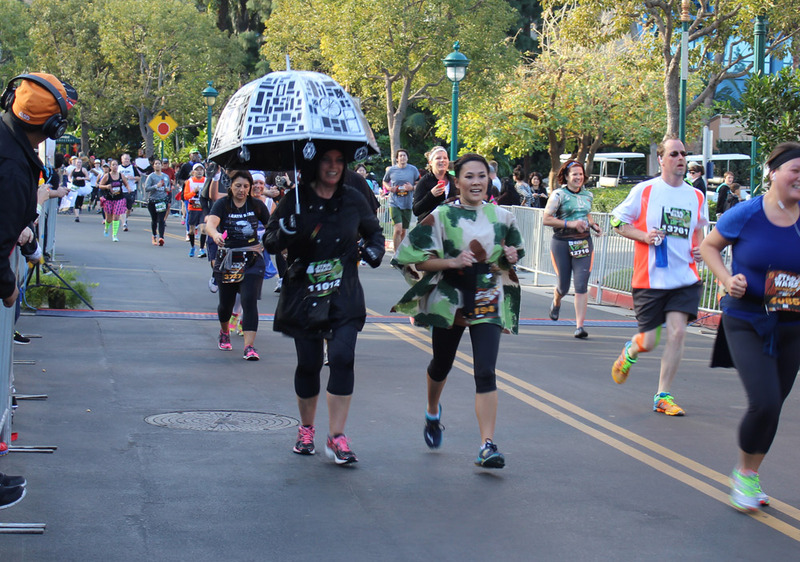 If you want to take part, be sure to sign up as soon as registration opens. 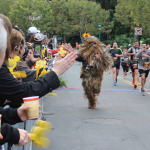 These events sell out fast and now I understand why! 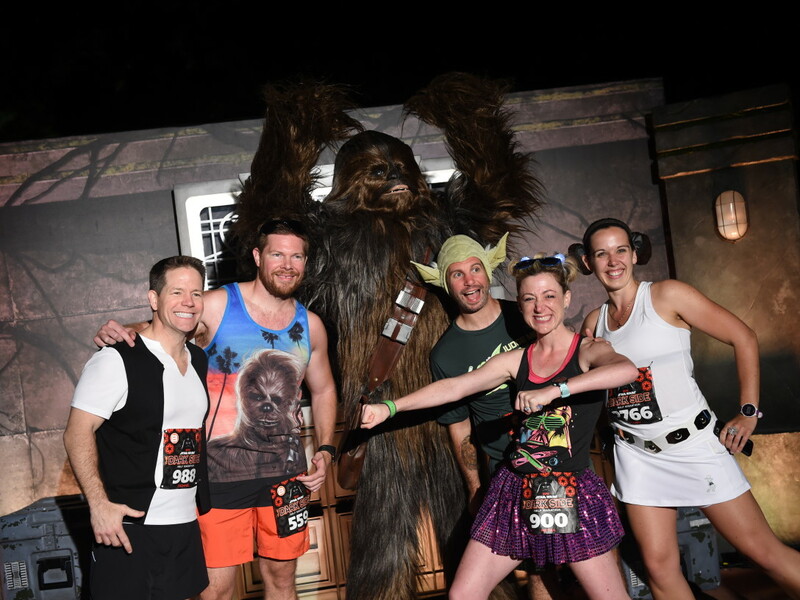 Until the next runDisney Star Wars race, enjoy my gallery of favorite shots from the weekend (and view more at the official Star Wars flickr). 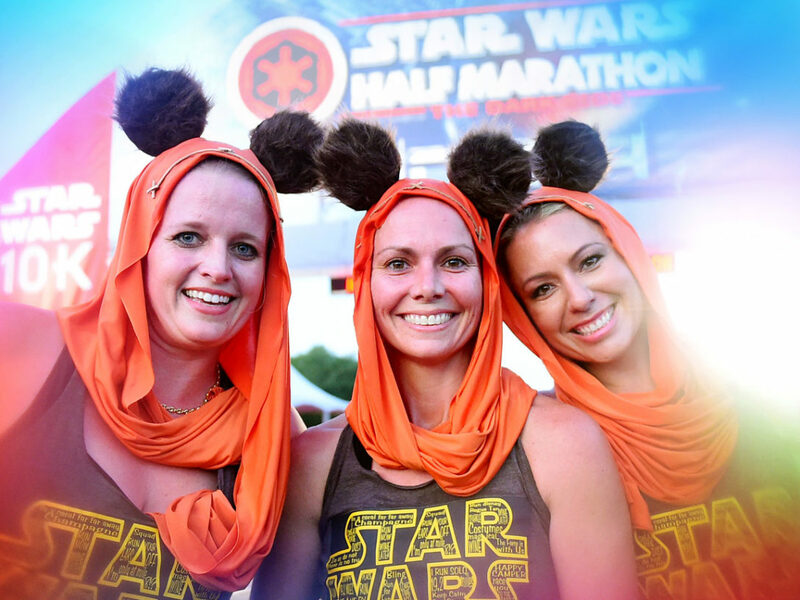 And may the course be with you, always! 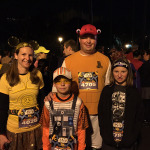 Cole Horton is a historian and pop culture geek featured on StarWars.com, Marvel.com, and at Star Wars Celebration. 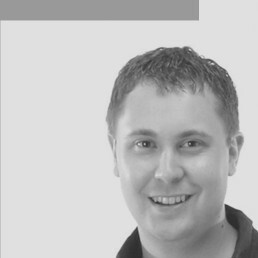 You can find him on Twitter @ColeHorton.